Are you building new or updating your home? 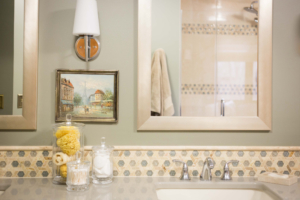 The kitchen and bath design adds style, function and value. Understanding your options can open up new possibilities, and bring a modern, classical look to your kitchen and bath project. Because we stay up to date on the latest trends and concepts we can help guide you through the process of planning the project, selecting the right materials and installation. At House Of Carpets, we value you, our customer! 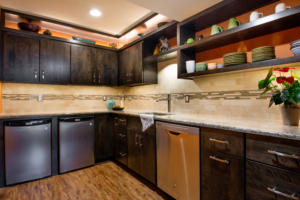 When it comes to your kitchen design, you want one that fits in with your families needs and style. Choose a kitchen back splash, flooring, custom accents and more from our selection of tile and stone, your kitchen will perfectly match your vision of the perfect central meeting area in your home. The bathroom in your home is your sanctuary from the rest of the world. Shouldn’t you love the look? Let House Of Carpets help you create a spa like atmosphere in your own home with our custom bath design. With years of experience, our professional team will apply their creativity and knowledge to your project. House Of Carpets has been part of the Cedar Rapids community since 1963. Throughout the years, we have worked with our customers to get the best value while providing them with customer service that is second to none. Let us help you design the perfect kitchen, bath and flooring for you to enjoy in your home.